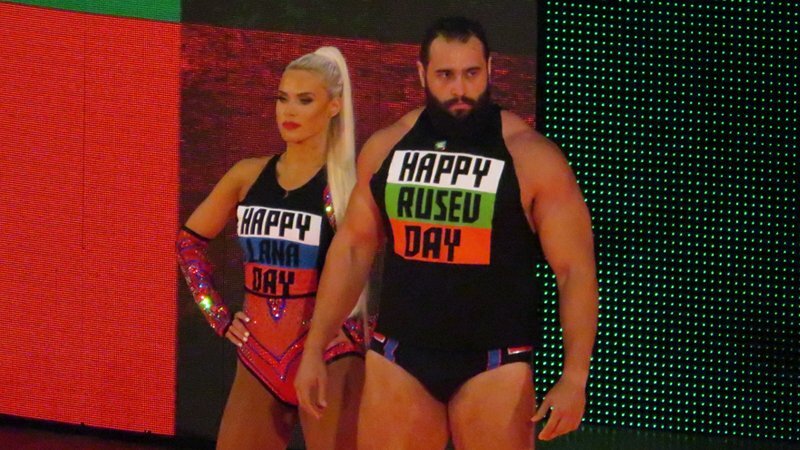 Lana and Rusev carefully planned a sneak attack to take advantage of the ever popular Dance Break that R-Truth and Carmella executed before their Mixed Match Challenge bout. The attack, however, wouldn’t serve any purpose in the long run as the Fabulous Truth would end up defeating Ravishing Rusev Day when Carmella pinned Lana for the three count. Meanwhile the Singh Brothers were in their element despite selling injuries from the Brock Lesnar attack on RAW, and ran interference for Mahalicia against Team Pawz. It would prove to be telling, as it would go on to open up an opportunity for Mahal to hit the Khallas for the win, thereby eliminating Team Pawz while allowing Mahalicia to move into the playoffs.